The Nelson Eye Clock was designed by George Nelson in 1957. It is a striking addition to any room. The Eye Clock is a reintroduction of a rare and important clock by George Nelson, a founder of American modernism whose work is featured in the Museum’s collection. Finely crafted according to the original specifications and It features an updated battery-operated quartz movement. 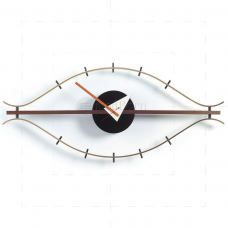 Turning the human eye into a figurative composition of geometric forms, the clock is at once playful and sophisticated combination for which George Nelson is well known. 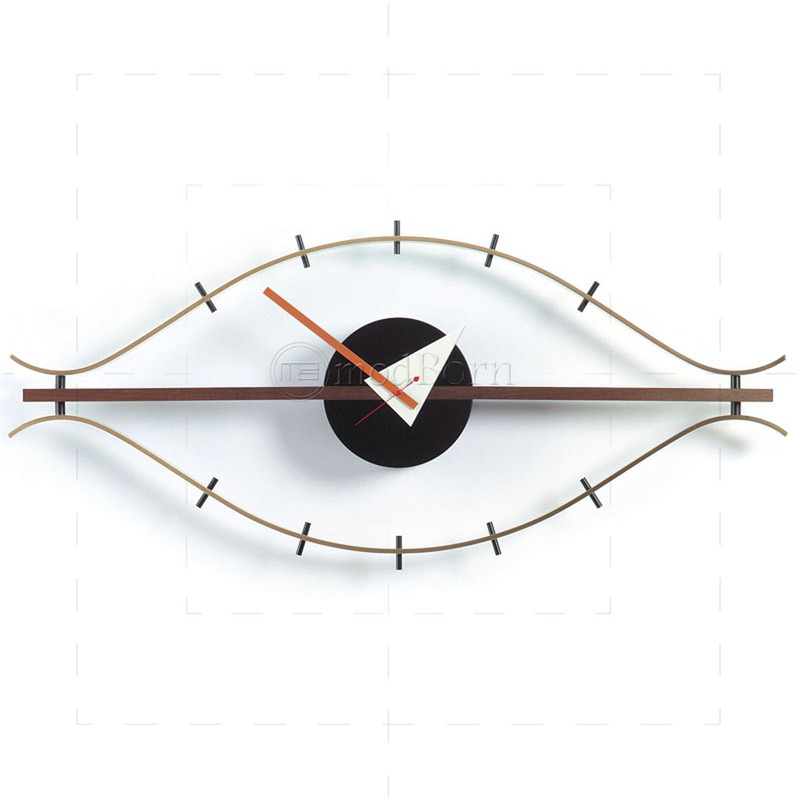 The Eye Clock's size is suitable to both homes and offices.